Bolognese sauce has traveled a long way from Bologna and it has taken on forms that it never dreamed of when it was young. If it ever went back home for a visit it is bound to draw strange looks (some admiring, some curious and some disapproving) from its more traditional cousins and siblings back in its home town. But then that’s the price it pays for being a world-famous sauce eh?! Chefs and home cooks alike continue to take all sorts of license. Speaking of home cooks and taking license, while Bolognese is typically made with beef, a combination of beef and pork or beef and veal I make Bolognese with lamb and happily skip the cream. 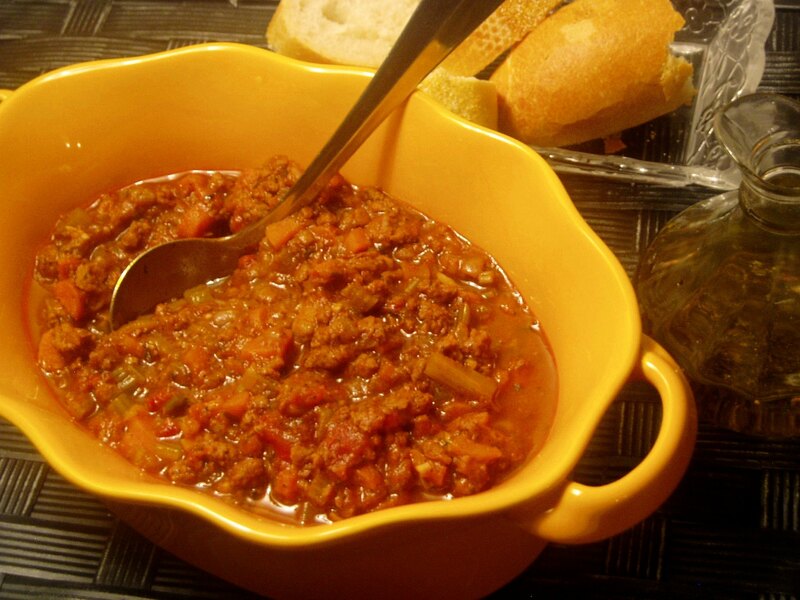 This recipe is an adaptation of chef Emeril’s beef Bolognese. Traditional slow cooked Bolognese calls for far more time than I have on an average weeknight or even a weekend so I don’t exactly slow cook the sauce like it should be. Maybe one of these cold, wet rainy Saturdays I will curl up with a good book and really slowwww cook my Bolognese for 6 – 8 hours but until then here is the sped up lamb Bolognese that I enjoy just as much. My weakness for bread meant that when I started dabbling with Italian this, is where I started.